I share my principles to success to help everyone stay happy and successful with a micro-mission to empower others to empower others. Dave Meltzer has spent the last 25 years as an entrepreneur and executive in the legal, technology, sports and entertainment fields. With expertise across many industry verticals, Dave’s background has uniquely positioned him to become a world-renowned thought leader. Dave is a CEO, entrepreneur, life coach, motivational speaker, author, student, and philanthropist. Being on stage has always been an easy platform for Dave to share his charisma, inspiration, and intelligence in front of a crowd of any size. Dave was listed by Forbes as a highly sought after keynote speaker in “Top 10 Most Influential Keynote Speakers For 2016” as well as recognized by Entrepreneur as a Top 5 Entrepreneurial Speaker for 2017. Dave began speaking around the world early career in his career in technology, speaking at large conference such as, Ingram Micro, CTIA, IT-Korea, G2E Global Gaming Expo, COMDEX Australia, COMDEX Las Vegas, and several corporate speaking engagements. 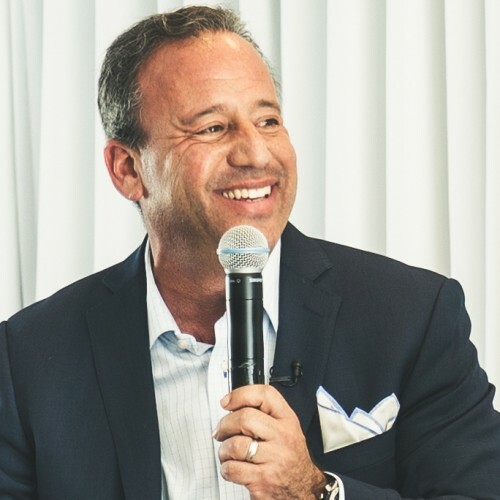 A combination of Dave’s situational knowledge from his career and life journey has led to David addressing as a keynote in front of Fortune 500 companies, top business conferences, prestigious universities, and sports seminars. David has a dynamic range of topics from; principles to success, sports technology, sports business, leadership, empowerment, negotiations, sales training, team development, marketing, and countless others. Over the years Dave has empowered and positively affected hundreds of thousands of people through his speaking engagements, book, and life coaching. Dave is always willing to help people who are looking to improve their personal and professional life. He is constantly asked to mentor C-level executives, entrepreneurs, athletes, young professionals, and students. Dave uses on- on-one coaching and Mission Meetings as platforms to discuss issues for life and business, and helps people view new perspectives to improve their well-being. By using his principles in Connected To Goodness to walk them through difficult problems and help change the way they look at things, so the things they look at change. Dave is currently the Chief Executive Officer (CEO) at Sports 1 Marketing, a firm he co-founded with Hall of Fame Quarterback Warren Moon. Dave oversees all day-to-day operations at the firm, where his relationship capital and situational knowledge has been crucial in delivering his client’s marketing and endorsement potential enabling him to secure diverse business opportunities for all his clients and partners. His mission is implemented into each of the firm’s business services, which include, endorsement deals, sponsorship and gifting, business consulting, corporate equity ownership, transitional services, brand endorsements and licensing, athlete and celebrity alignment, among others. Sports 1 Marketing is currently involved with several sports and entertainment projects such as NFL Player’s Association, Pro Football Hall of Fame, Super Bowl, Athlete Network, Shmoop, The Master’s, Spartan Races, Internships.com, and countless others. Dave launched his career in sports at the world’s most notable sports agency, Leigh Steinberg Sports & Entertainment, serving positions as CEO, where along with Leigh and Warren, negotiated over $2 billion in sports and entertainment contracts. In addition to athlete representation, LSSE served as creative and technical consultants on movie and television projects such as, Jerry Maguire, Any Given Sunday, For Love Of The Game, and HBO’s Arli$$. Dave is considered one of the pioneers within the ever-changing online world of technology. Early in his career, Dave was an executive for several technology companies, including Westlaw, Thomson Reuters, Everypath, Accenture, and the PC-E Phone. Dave was responsible for the launch of the world’s first smartphone, the PC-E Phone manufactured by Samsung. His background in technology has profiled him as a prominent sports executive sought after to discuss current and future trends. Dave has served as a consultant on stadium projects and other business of sports projects to help improve the fan experience with technology. Dave has a wide breadth of knowledge in several topics and is profiled by national publications such as Forbes, ESPN, Bloomberg, among countless others. Dave is frequently interviewed to discuss law, inspiration, technology, and trending sports topics. Past discussions have included: Donald Sterling and sports ethics; Ray Rice, Adrian Peterson and player relations; endorsements and player contracts; sports technology and fan experience; sports marketing and television revenue. Dave has several shows in which he appears on frequently, including his own “Sports Blender” which is airing on Angels Baseball Radio AM 830, Yahoo! Sports Radio, and ESPN Radio with co-host, longtime MLB-veteran and two-time World Series Champion Jim Leyritz. David is the sports business analyst on CNBC “Fast Money”, the Scott and BR Show on Mighty 1090, and ESPN Radio with Ron Siegel, discussing his perspective on sports trends from an executive position in the industry. Dave’s first priority each morning is to increase the shareholder value and business development of his business, not only to better himself, but for others around him. His fortune-making is far from over, as he always keeps a keen eye on markets and building a profitable company. Throughout his extensive professional career, Dave has managed processes and practices including the creation and implementation of strategies and tactics for beginning and scaling a business, recruitment and management, sponsorships, endorsements, go-to-market planning and execution. Dave was the original owner and developer of Poplar Grove Golf Course in Virginia, which is the first, and only, designed golf course by Sam Snead. During his ownership, Golf Digest ranked Poplar Grove course one of the Top Ten Best Public Facility’s in the United States. Dave currently sits on the advisory board for OCTANe. Based in Orange County, OCTANe connects people and ideas with a capital and resources to fuel technology growth. Since its inception in 202, OCTANe has helped 110 companies receive more than $346 million in investment and equity exits. Other notable boards that Dave sits on: Commerce for a Cause, Stitch, Pledger, Hall of Fame Flag Football Association, Content.Market, Sports Brain, Celebviddy, Acumen. Every business project that Dave works with requires having a charitable component or partner; which helps Dave continue to live by his mission. Dave believes in a Just world in which, sharing and giving back, can help empower others to empower others. Dave was even named a Knight of the Sovereign Order of St. John of Jerusalem Knights of Malta, the world’s oldest humanitarian organization. In addition to his business ventures, Dave holds several positions on boards, and memberships, for charitable causes and business development, such as: Crescent Moon Foundation, Rose Bowl Foundation, JUST Capital, OCTANe Business Incubator, Irvine Public School Foundation, Transformational Leadership Council, National High School Basketball Association, Unstoppable Foundation, Able Population, Boys & Girls Club of America: Orange County, Big Brothers & Big Sisters (fmr. ), among several others. Dave is a best-selling author and launched his first book Connected To Goodness in 2014, which quickly gained national exposure for his codified principles to success using business and spirituality. The book shares Dave’s story of his early success in the business world and after he lost what made him successful in the first place, the downward spiral that ended in him declaring bankruptcy. It was only then that Dave realized, in order to revive and thrive, he needed to codify the principles that brought him success. He blended spirituality with business and started to meld his newfound life and business outlook as CEO to sports super-agent Leigh Steinberg (played by Tom Cruise in Jerry Maguire). Connected To Goodness reveals Dave’s proven principles for success that will bring you the same peace and balance he now enjoys in both business and in life. His newest release, Compassionate Capitalism: A Journey to the Soul of Business, which he co-authored with Blaine Bartlett, delves into the flaws of traditional capitalism. Not only do the authors point out the flaws and successes of the world’s main economic driver, they suggest a new way to conduct business. Compassionate Capitalism will change the way you look at business, so the things you look at change! Dave lives in Orange County with his beautiful wife, Julie, and four M&M’s, Marissa, Mia, Marlena, and Miles. Find out more about Dave Meltzer, Sports Exec & Author at http://meltzermission.com.